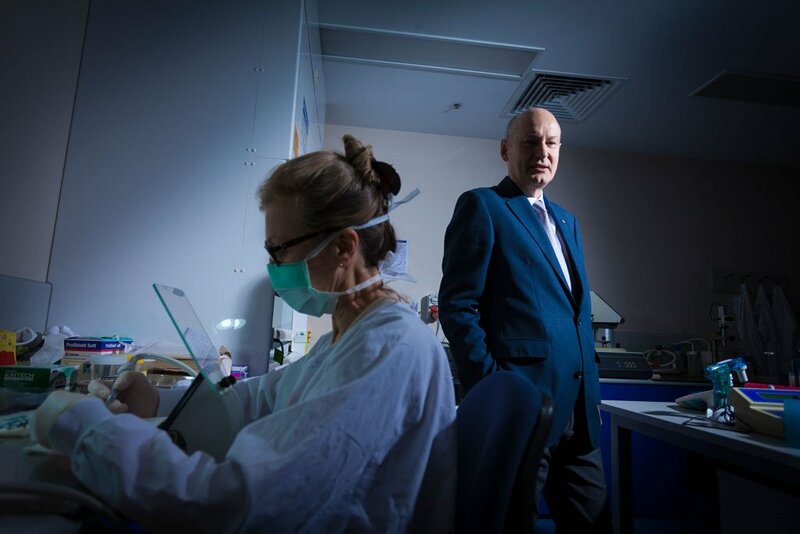 Winner of the Prime Minister’s Prize for Innovation and the CEO of the Oral Health CRC, Melbourne’s Laureate Professor Eric Reynolds is developing a vaccine that could signal the end of periodontitis. He says the hope is that the vaccine will substantially reduce tissue destruction in patients harbouring P. gingivalis. And the most exciting news—for both dentists and their patients—is that the periodontitis therapeutic vaccine clinical trials may start later this year. In Australia, the average percentage of people with periodontitis is around 22 per cent, according to an Australian Institute of Health and Welfare report. In addition, people over 65 have rates approaching 53 per cent. And University of Adelaide’s Indigenous Oral Health Unit revealed that Indigenous people have significantly more periodontal problems than average. While Professor Reynolds’ vaccine release is now on the horizon, he has always had a curious mind. As a young boy, he would stare up at the stars pondering the nature of the universe and was fascinated with science shows on television. “I was always interested in science—where we came from, how the earth was formed, and how the solar system works,” he says. It didn’t take long for Professor Reynolds to make a splash as a young researcher. He was studying tooth decay and periodontal disease in the late 1980s and early 1990s, and approached the National Health and Medical Research Council (NHMRC) for funding. “When I went in for my interview, the people in the waiting room with me were working on cancer and heart disease. So when I said that I wanted to work on tooth decay, my research had to be really, really good to be funded,” he says. Thankfully, he was onto something really, really good—and the NHMRC agreed. With the funding he needed, Professor Reynolds threw into himself into his research. “There was some anecdotal and epidemiological evidence that people who were high milk drinkers tended to have low levels of tooth decay,” he says. “My curiosity was that if dairy products are associated with low risk of tooth decay due to calcium, there must be something about the specific form of calcium in dairy products. The state government kicked in about $30 million, but that left Professor Reynolds to generate the additional $20 million that was required to build the new facility. To achieve that, Professor Reynolds modelled himself on US deans that he got to know throughout his tenure. “Deans of dental schools in the US operate differently to the historical role of heads of dental schools here,” he says. “They spend quite a lot of time with their alumni and with industry, and they have major targets in terms of philanthropy and funding so their role is to get money for their school. Today, however, Professor Reynolds is back in the research lab as chief executive officer of Oral Health CRC. He and his team are making significant strides towards developing a vaccine for chronic periodontitis. “It is a severe form of gum disease where the jaw bone gets resorbed and teeth become loose. It has been linked with heart attacks and stroke,” he says. Unlike other gum diseases that are caused from plaque build-up due to lack of brushing, Professor Reynolds and his research team have shown that a particular species of bacteria is at play in chronic periodontitis. The good news is that Professor Reynolds has developed a therapeutic vaccine that has shown success in treating the disease in animal trials. Professor Reynolds believes the vaccine may also have a positive impact on other serious diseases linked to periodontitis. “In diabetes, for instance, we find people with severe periodontitis have far greater issues with trying to control their diabetes because the periodontal inflammation makes the diabetes worse,” he says. Professor Reynolds and his team are scaling up to start clinical trials in humans this year, but we’ll be waiting a while for its market release.